Due to the nature of the tasks done in laboraotries, emergencies caused by spills, splashes or fire connates can be caused easily, so action and protection items are needed to control these situations. Experience shows that in small incidents could be controlled and cause minimum effects if suitable and enough action items are provided. According to NTP500 - written by INSHT - (National Centre of working conditions), fire blankets belong to the so named action items in case of emergency in laboratories. Nursing homes and child-care centres are places where people with reduced capacities are located, this fact impede them to correctly use some fire extinguishing elements, its use even being dangerous. 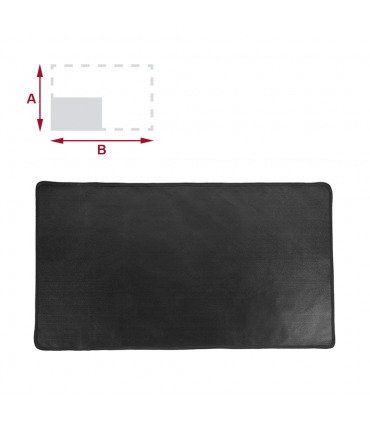 Due to its weight and easy use, we recommend to install fire blankets as a complementary security elements. According to recent studies, most fires caused in hospitals are small and are suffocated by an extinguisher used by the hospital's personnel suitably trained for its correct use. An intervention that means training time, maintenance and environment deterioration caused by the extinguishing powder. Costs that, in most cases, could be saved by using correctly a fire blanket. Law 2/1985 about Civic Protection, establishes the compulsion of activities having a Self-protection Plan, doted by its own resources and the corresponding emergency plan for risk prevention actions, alarms, evacuation and assistance. 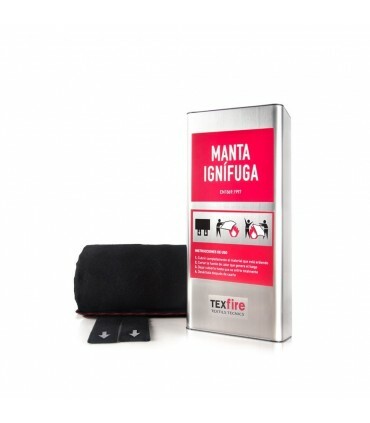 Emergency Plans that belong to Self-protection Manuals are personal and different for each establishment, so we recommend the use of fire blankets as individual protection elements. Protection Against Fires in Industrial Kitchens is composed by two parts, the first is fire detection and the second is that extinguishing systems turn on when a fire has started. Real Decreto 2267/2004 approves the Security Regulation against fires in indistrial facilities including fire blankets as protective elements against fires..
Every time there are more Travel Agencies in Spain, that in their Self-protection Mannuals in Turist Accomodations, mark the need of having fire blankets as a preventive way to avoid fire spreading. Foreign touroperators also claim blankets with these features in hotel rooms they hire. 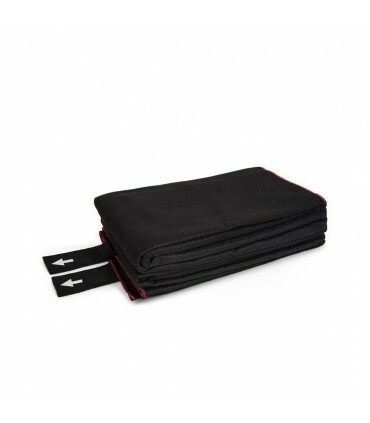 In addition, insurance companies offer bonuses for installing fire blankets in secured areas. Campings are places where the use of camping gas cookers and barbecues could cause small fires. Both forestal environment and being surrounded by flammable materials like camping tents, canopies... ease the fast spreading of those fires. So, security measures against fires must be increased, being fire blankets an indispensable accesory for rapid performance. 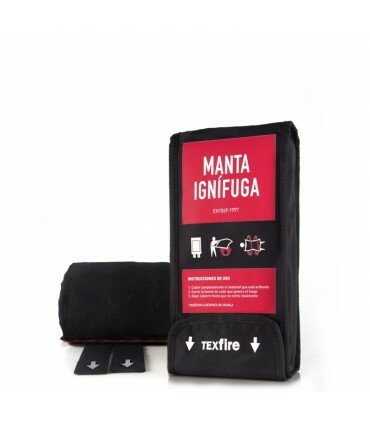 APTB (Asociación Profesional de Técnicos de Bomberos/Firefighter Technicians Professional Association) insists in having fire blankets in places where a fire risk exists. Most fires in vehicles come from electrical failures, lack of maintenance or traffic accidents. In fact, 1 of every 6 fires and 1 of 8 deceases due to fire are caused by fires in automobile vehicles. Due to their job, public service drivers have higher chances of being involved in this kind of accidents. TEXFIRE recommends the use of fire blankets to assist people or objects in flames. The most important fire risk to take into account during dangerous goods transportation comes from leaks of flammable transported substances. For this reason, is obligatory to carry an ABC powder fire extinguesher in the vehicle, regarding its Maximum Authorised Mass (MAM) and a fire blanket as a complimentary element for fire connates when the use of an extinguisher could be dangerous or non recommended due to its derived effects. Instruction manuals for motor homes specify as a preventive way to avoid fires to put a refractive blanket (flame retardant) near to electrical stoves. Law 2/1985 about Civil Protection states: - You will not use water against frying pans with firing oils. In this case, the first thing to do, once the gas is turned off, will be covering the frying pan with a fire blanket. Currently, aircrafts dispose from halon or bromine extinguishers for suffocating small fires caused inside them, both extinguishers contain chemical and nocive elements that can reduce the oxigen levels inside the plane, this could develop a risk of suffocation. For this reason, we recommend the installation of a fire blanket as an active element in case of fire. In addition, in the case of a passenger burning in flames, halon extinguishers decrease temperatures rapidly and can cause burnings when touching skin. The domestic use of fire blankets in places with higher fire risk could avoid usmany problems being able to suffocate efficiently small fires. Designed for its use both in the extinction of fires affecting garments, bed linen, pots and pans, electrical panels... Many autonomous communities have compulsory mannuals of use, maintenance and conservation, where they urge to have in every house, among others, a fire blanket, essentially on kitchens. Insurance companies, in collaboration with APTB (Asociación Profesional de Técnicos de Bomberos/Firefighter Technicians Professional Association) urge to have fire blankets on kitchens. When a car is envolved in an accident there is a chance from it to burn, causing material and physical damages. the use of fire blankets could help us to suffocate the initial fire, assist to the wounded ones and avoid a higher disaster.